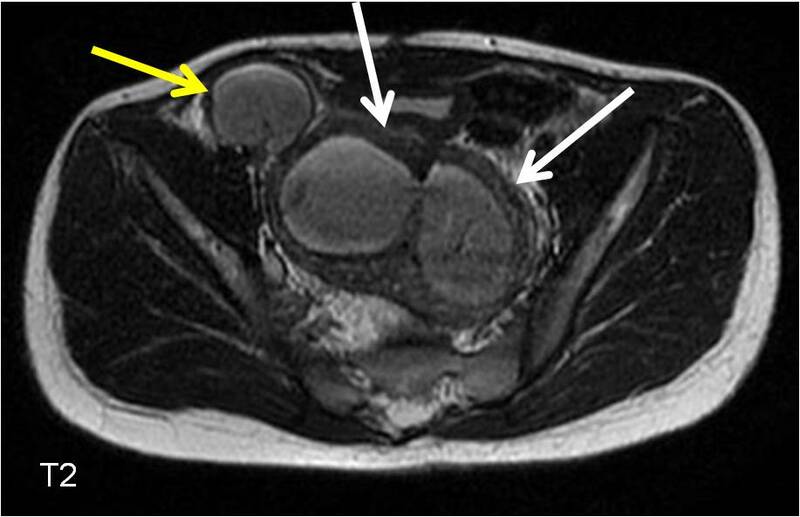 Axial LAVA Flex MRI demonstrates a fluid filled bilobed structure within the pelvis (white arrows) and additional fluid filled structure in the right inguinal region (yellow arrow). The white arrows indicate a bicornuate uterus and the yellow arrow indicates the right fallopian tube, filled with fluid. 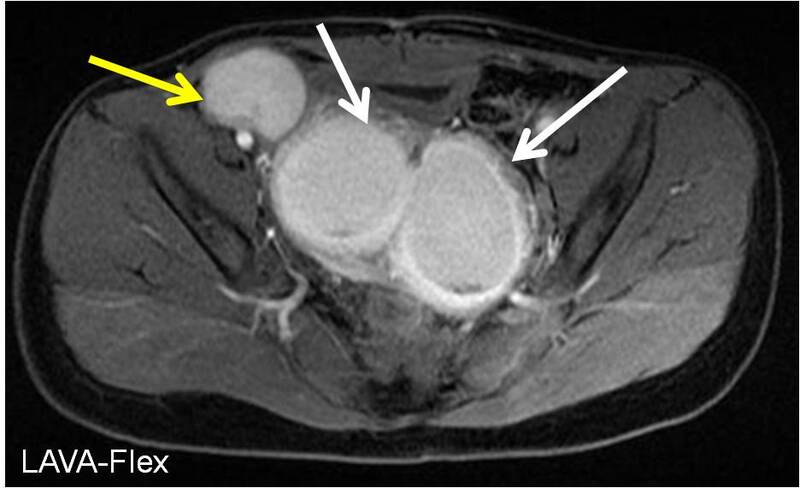 Axial T2-weighted MRI demonstrates a fluid filled bilobed structure within the pelvis (white arrows) and additional fluid filled structure in the right inguinal region (yellow arrow). The white arrows indicate a bicornuate uterus and the yellow arrow indicates the right fallopian tube, filled with fluid. 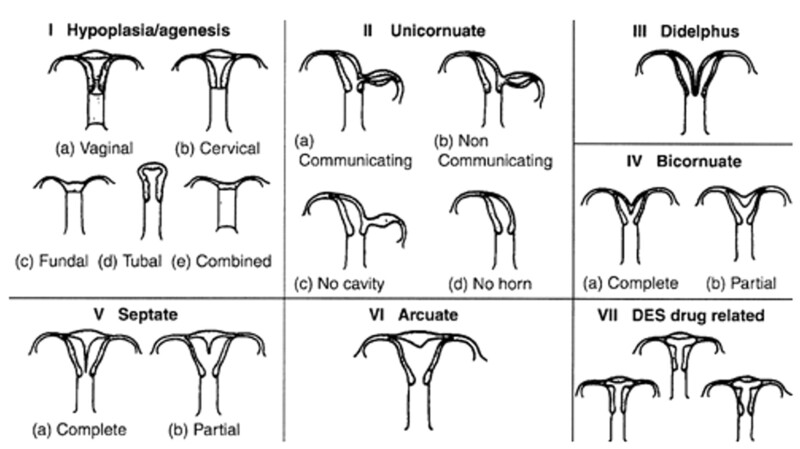 This is a case of a bicornuate uterus with hydrosalpinx of the right fallopian tube. Read about Imaging of Mullerian Duct Anomalies.